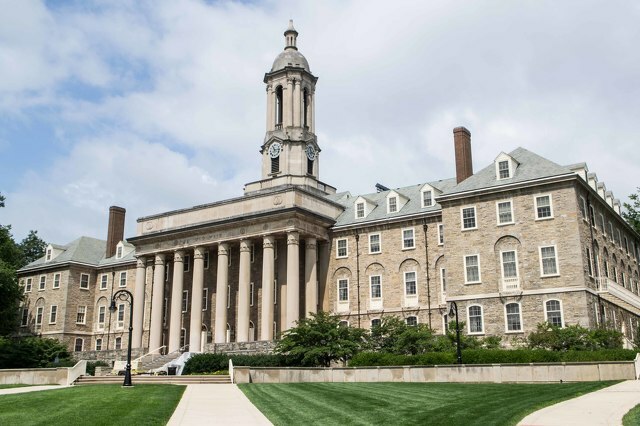 Penn State will exert more control over fraternities and sororities after the university's Board of Trustees at a special meeting on Friday approved a set of new reform measures for Greek life. "The current Greek life structure at Penn State is not sustainable and cannot continue in its current form," board chair Ira Lubert said. In introducing the reform proposal, university President Eric Barron called the traditional model of self-governance for fraternities and sororities at Penn State and across the nation "broken." The measures come following the death of student Timothy Piazza, who suffered a fatal fall during an alcohol-fueled bid acceptance party on Feb. 2 at Beta Theta Pi fraternity. His death resulted in charges against 18 fraternity members and the fraternity corporation. Both Lubert and Barron expressed sympathy to the Piazza family, who issued a forceful letter ahead of the meeting calling on the university to make substantial changes. "As president of Penn State, I am resolved to turn the pain and anguish radiating through our community into decisive action and reform," Barron said. Among the most significant changes implemented, the university will now control the fraternity and sorority organizational misconduct process, which was previously handled by the Interfraternity Council and Panhellenic Council. "Essentially, we are removing IFC controls on evaluation and adjudication of misbehavior," Barron said. The university also will take over monitoring of social events, another responsibility previously held by Greek life organizations. A Greek community relations staff will assess organizations and make frequent spot checks. Some other measures formalize restrictions that were put into place in March. Penn State will continue its zero-tolerance policy for hazing, and "any hazing that involves alcohol, physical abuse, or puts a student's mental or physical health at risk will result in swift and permanent revocation of the University's recognition," Barron added. New member recruitment, or "rush," will be deferred until spring semester. Barron said the goal is to reduce peer pressure to accept hazing and improve academic performance, because students who rush as freshmen have lower academic performance. Another objective is to have only juniors and seniors living in fraternity houses. Restrictions on social functions with alcohol put in place in March will continue, including a reduction in the total number of social events with alcohol permitted, requiring trained bartenders, caps on how many people can attend a social and the service of beer and wine only. Barron said the university will support Congressional proposals to expand the Clery Act to include hazing violations, and will discuss with state officials creating harsher legal penalties for hazing. He added the school would also advocate expanding the medical amnesty law for underage drinking to apply to the person who needs medical assistance. All fraternity and sorority members will be required to sign a relationship statement that articulates the responsibilities of the university, chapters and members. Each fraternity and sorority chapter will have a report card that describes its strengths and weaknesses, including metrics such as GPA, service hours and citations. That report card also will be made available as part of parent education. "We want to spend significant effort focused on parent education... Availability of the report card, understanding the risks and rewards of Greek life, messages that we need them to reinforce with their students, specifically on alcohol, hazing and sexual assault," Barron said. Greek life organizations will have an extensive mandatory educational program, which Barron said could include requiring members to read the presentment issued by the grand jury that investigated Piazza's death and recommended charges. Barron said the program would be training on "expectations and negative outcomes," with an "enhanced focus on bystander intervention." The university also will control the size of sororities, with Barron saying that as organizations become larger they become more difficult for the school and the organization itself to monitor. Barron said the university is exploring a "capitation fee" for Greek-letter organization membership, which will be used to offset the cost of "extra police services, spot checkers, monitors, and additional educational activities." This weekend he will propose to leaders of the other Big Ten universities the organization of a national conference on Greek life. "We intend to take a national leadership role in this," he said. "Presidents across this nation -- big universities, small universities, private universities, and public universities -- are all facing these problems, and finding it a challenge to deal with them. And I think by working together and sharing what we know that we have the potential to do even more in comprehensive reform to solve this as a problem." 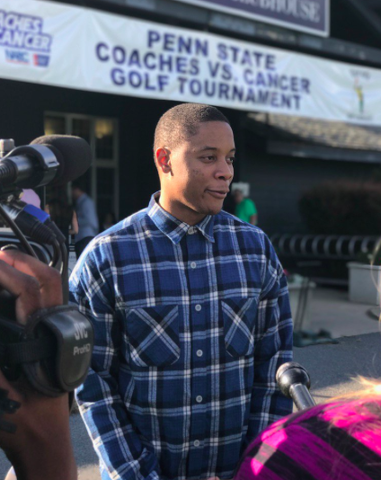 Former Penn State point guard Tim Frazier joked on Thursday evening that his bags had yet to catch up to him and in turn, his outfit wasn't the best and didn't quite fit right. So he had a simple request, his black, slightly ripped jeans out of the frame.